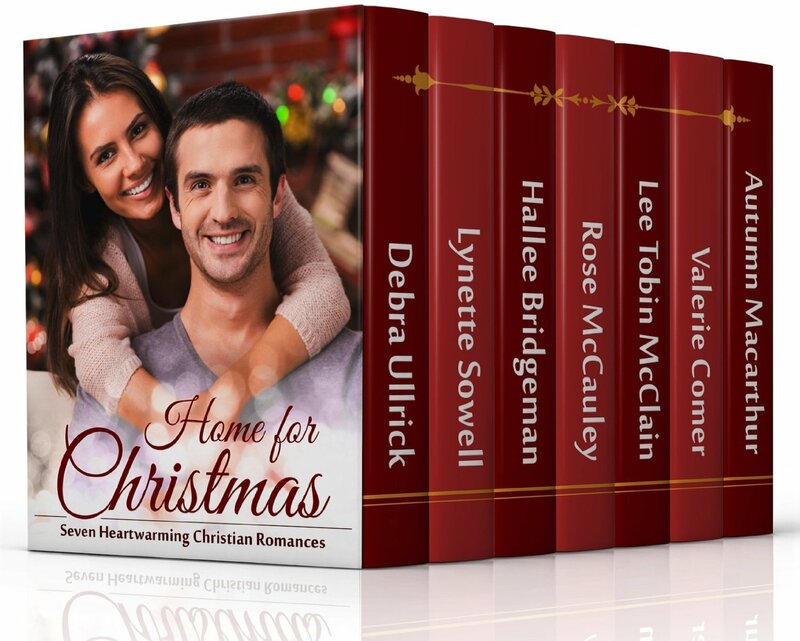 Home For Christmas is a wonderful collection of stories, absolutely perfect to get you in the mood for the festive season. A Cowboy For Christmas by Debra Ullrick is an absolutely charming Christmas story grounded in God, faith, family and love. Callie’s Dad broke hers and her mother’s heart when he walked out on them for her Aunt Dee. Callie has guarded her heart ever since, preferring to lock it away rather than risk being hurt. After all, all men behave in the same way, don’t they? Out of the blue, two weeks before Christmas, Dustin, Callie’s childhood friend appears to help out on her Mom’s farm. Together they rekindle old friendships, but could something greater blossom? A perfect story on a dark winters evening to warm your heart. Comfort and Joy by Lynette Sowell is a delightful Christmas story with love, families and second chances themes. Love is not just for the young. There is family love, God’s love and the love of companionship and friendship. This story will leave you feeling good and glowing with happiness. Christmas Diamond by Halle Bridgeman is a sweet Christmas love story, full of coincidences as TJ and Faith get to know each other. TJ is a historian interested in the exploits of women pilots in World War II. Faith flies her grandmother’s old World War II plane. Together they discover how they feel about each other as they unpack their individual histories. Christmas Grace by Rose McCauley tells of Grace and Chris who grew up together as best friends. They have not seen each other since the funeral of Chris’s wife Terrie three years ago. Both are back in their home town for a visit. They renew their friendship and revive old memories. Another delightful story of new beginnings and second chances. There is a definite focus on God as the characters talk to Him, and make decisions to make Him Lord of their lives. A Christmas Bond by Lee Tobin McClain shows how living with one foot in the past can make both Annie and John miserable. Annie guards her heart and will not even trust God. She is angry with Him. John has faith, but is an ex soldier suffering from PTSD. Bad weather and a broken boiler on Christmas Eve find Annie and her grandmother thrown together with John and the four teenage boys he looks after in a halfway house. It is an unusual mix for Christmas. A totally delightful story exploring the themes of faith, trust, prejudice, goodness and new creations. More Than A Tiara by Valerie Cromer is absolutely charming. The themes of looking after the plight of widows and orphans run through the story, with the emphasis on sacrificing the self, to ensure that the vulnerable are cared for. This was first published in Snowflake Tiara by Angela Breidenbach in 2014. Believe In Me by Autumn Macarthur is a wonderful story, not just to be read in the lead up to Christmas, but at any time. It highlights the importance of believing in God’s promises – no matter what has happened in the past, God still loves you. No one is ever too far from God. And feelings of guilt are from the enemy, and no one should wallow in them. This is the second story in the Love In Store series which are all wonderful reads. I thoroughly enjoyed all the stories and can highly recommend this collection. It is totally delightful.